What is The AQUACYCLING Work-Out? 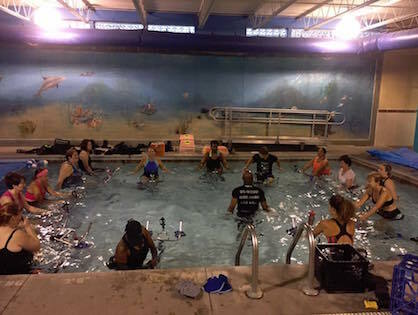 The AQUACYCLING work-out is an underwater cycling class. The bikes are placed in a 88 degree pool and you pedal against the water resistance, with water up to the waist. There are a couple different ways to get signed up. You can click on the button and get started that way through our mind and body website. Or if you have a smartphone click on the button for the mind and body app and download it for free. You can sign up for any class and create a user account. If you have any questions please give us a call at 419-531-4655.